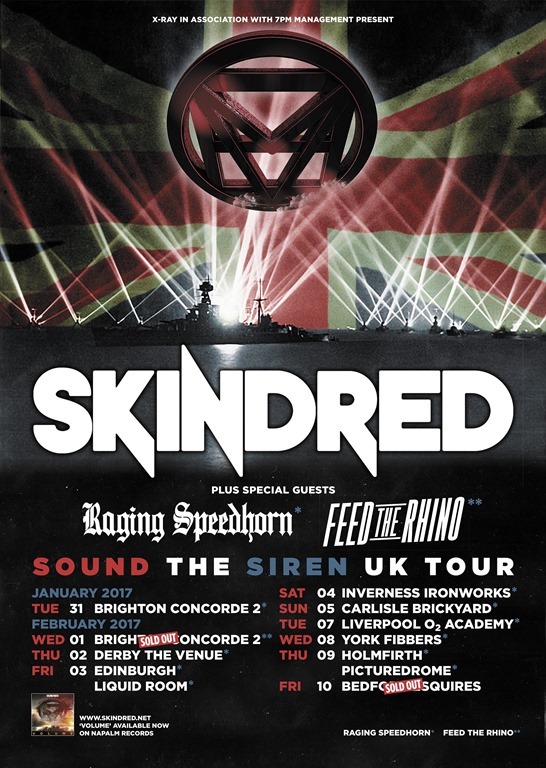 Ahead of the two sell out dates at The Black Heart in March, Raging Speedhorn are set to join ragga metallers Skindred on their upcoming February tour, following on from the success of their earlier tour in late 2016.
incredible band so it’s an honour. It’ll be like stepping right back to those days in the early 2000’s when we last shared a stage. Bring on the party!"